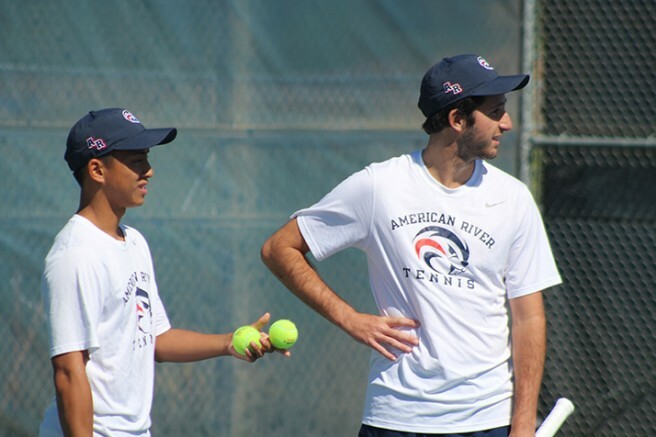 American River College’s men’s tennis team finished the regular home season undefeated with a 9-0 win over Santa Rosa Junior College on Tuesday. While the team is virtually assured of getting another home game at some stage in the playoffs, for now they will only be able to practice at ARC. The Beavers took all except one game in straight sets, while Troy Carlsen took three sets in order to dispose of his opponent, eventually winning 3-6, 6-2 and 13-11. Sophomore Seppi Capaul got off to a seemingly slow start, going down 2-4 in the first set, before rebounding and going on to win 6-4 and 6-0. Capaul said that playing at home really does make a difference and is an advantage for the Beavers. Head coach Bo Jabery-Madison agreed that playing at home does have benefits. ARC will now play in the North/South tournament in Fresno against some of the best teams from northern and southern California, including NCAA Division I school, Fresno State. Jabery-Madison said that while the team is playing well in conference, it is important to be tested by tougher schools and really push yourself to go the extra mile. Freshman Cody Duong said that now that the post-season is on hand, it is important to take the playing level up a notch. The North/South Tournament starts on March 18th in Fresno. 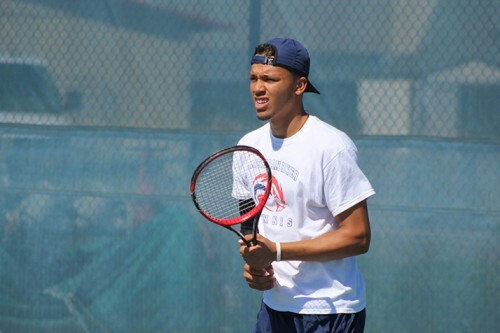 Be the first to comment on "Men’s Tennis close out regular home season with win"